What is bitcoin? A look at the digital currency. It's worth more than an ounce of gold right now, it's completely digital and it's the currency of choice for the cyber attackers who crippled computer networks around the world in recent days. When the attackers' "ransomware'' sprang into action, it held victims hostage by encrypting their data and demanding they send payments in bitcoins to regain access to their computers. Bitcoin has a fuzzy history, but it's a type of currency that allows people to buy goods and services and exchange money without involving banks, credit card issuers or other third parties. Bitcoin first broke the $1,000 valuation mark way back in 2013, but a combination of factors — including the implosion of then-top exchange Mount Gox — saw the currency drop in value. Support from financial institutions trialed bitcoin and blockchain-based services, and a general stability following new regulation in China saw bitcoin return to the $1,000 mark again at the end of last year. Since then, its valuation has continued to grow consistently through 2017. 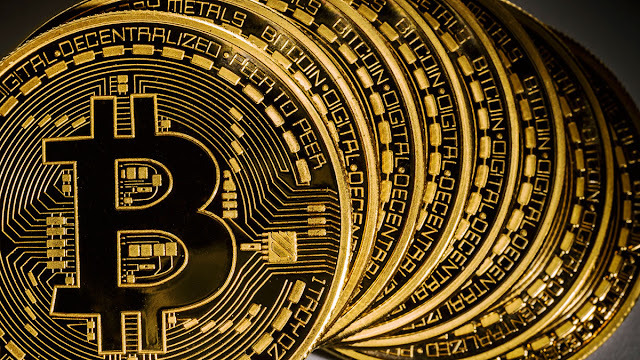 Bitcoin is a digital currency that is not tied to a bank or government and allows users to spend money anonymously. The coins are created by users who 'mine' them by lending computing power to verify other users' transactions. They receive bitcoins in exchange. The coins also can be bought and sold on exchanges with U.S. dollars and other currencies. An Australian entrepreneur last year stepped forward and claimed to be the founder of bitcoin, only.